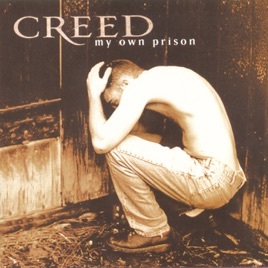 Don't know how many of you ever paid much attention to some of the exceptionally powerful songs of the band Creed, but their lyrics and epic sound have produced some amazing rock songs - especially their songs exploring God and spiritual themes. Their singer/lyricist Scott Stapp is a Christian who has been through a lot of hard stuff. Pay particular attention to the lyrics as the music plays! Thank you for posting Philip. Actually, I ended up watching many YouTube videos with Ravi Zacharias. What a briliant apologetic he is. Not only capable of providing answers to tough qeustions, but also a real human being. He can answer tough questions of hearts that are hurt, in grief. And in a manner that he does not ruin the heart. IF Goliath had been a singer! And He was the voice of the Tony the Tiger's Frost Flakes' cereal commercials: "They're g-r-r-r-eat!!!!" Thurl was also an evangelical Christian! This is a thread about cool songs, not Ravi Zacharias. If you want to talk about Ravi, please start another thread. This is a thread about cool songs. If you want to talk about boredom, please go to one of Nessa's threads start another thread. (now you will say something like: this a thread about cool songs, not about fryingpaning others. If you want to fryingpan other members , please start a new thread.